Why can we still not print from Smartphones and Tablets? 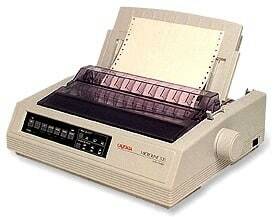 When mankind first started using computers one of the very first peripherals anybody would buy was a printer. Printing documents was just about the one thing people liked having computers for, and in the early days of dot matrix and bubblejet printers (before ink prices soared) people would print anything and everything at length. Now people are beginning a wholesale move across to mobile devices, smartphones and tablets. Yet for some reason I'm still completely unable to phathom these devices still don't seem to come with native printer support. To make matters even more confusing, many modern printers have supported wireless connectivity now for several years, more than long enough to allow the mobile and tablet operating system manufacturers to pull their collective fingers out. This constantly boggles and amazes me as there are all manner of things we want to do with our phones and tablets, from booking journeys to online shopping and email, where printing support would come in extremely handy. Yet, still nothing but stony silence from the major operating system manufacturers. It doesn't even strike me as technically difficult either. If you are connecting to a remote printer you will be doing so via wi-fi. The printer manufacturers would probably fall over backwards to add smartphone and tablet support to their driver-ranges, and it still doesn't happen. It's not as if modern devices don't have the storage and the processing power for these drivers. Many smartphones regularly come with at least 8Gb or 16Gb of storage and they're now apperaring with dual-core processors. So the great mystery continues. Why, unless we spend money on expensive third-party addons which may not even exist for your platform, are we being denied the one thing that was a cornerstone of the modern computing revolution? How is it that Microsoft, RIM, Apple and Google don't see printing as being either important or relevant to our daily lives? It's not often I write a rhetorical article such as this. There is, sadly, no answer to this question at all and no hope that we'll get some any time soon. It's not a subject that any of the major operating system companies ever mention, despite printer manufacturers no doubt chomping at the bit to get into new markets and modern phones such as Nokia's N8 coming with USB ports. So we're left in a strange place where the whole computing market is moving slowly and inexorably towards new forms of mobile computing and, at ever-increasing speed, away from the home office, while at the same time needing to keep the home office around for the next time we want to print a booking confirmation or an email. Personally I find this situation immensely frustrating;after all, how hard can it be for printer manufacturers to come together to develop a single universal driver that will do the basics of text and photos (which is all we really need) that can then be bundled by default with modern smartphone and tablet operating systems. Such a driver would connect to compatible printers via wi-fi and, before you can say paper jam, there would be your hard copy... well, you know what I mean. I think expecting printer manufacturers to come together and do anything is just going to end in disappointment. That said, I can print to my color laser HP printer from any iOS device in the house (there are currently four). I followed the directions at the link below and it’s been working great. Obviously it isn’t “native” or even close to “out of the box”, but I think it’s worth it if you find yourself wanting to print an email or webpage. I too have been able to print from my Android device since I got it. Like above the solution is not out of the box, or native but it does work, for both iOS and Android. You will also be able to print from Web OS devices, once HP gets them out to market! HP printers offer e-print and Google and Dropbox offer cloud printing which allows you to print from any smartphone, be it IPhone or Blackberry et al, so the capabilities to print from Smartphones does exit! There are apps that allow people to print from Tablets, so what’s the problem? What, exactly, is “cloud printing?” I don’t quite understand. Printing can be done from anywhere in the world with HP e-print AND a Smartphone! Wireless and wired printers are easy enough to set up, once you install the “included” drivers, so there’s no problem in that area! If you don’t have the CD, you can easily Download what you need from the Manufacturers web site! The range for wireless/network printing is far better than some kids walkie-talkies, with the new and improved Routers! I’ve set up hundreds of printers, wired and wireless and seldom, if ever had any problems! Also, the “e” in HP e-print stands for “email” – which I am NOT disparaging. My new HP 8500-something-or-other printer is as black and shiny as my old Palm Pre Plus, and they both get along swimmingly! HP 8500? Great choice and a fine AIO printer! Yes, the e-printers from HP have their own designated e-mail address which allows the users to send a print job directly to their printers from anywhere! Please do not encourage them. We don’t need any more printing EVER! It’s 2011 and we should have a jetpack, a flying car, and no more printers. Tablets are our gateway to a printer free world. It is still necessary hard copy of receipts due to existing laws. It’s trivial to print from a Windows Phone, or from a Windows 7 tablet. It’s simple to install an app to print from an Android phone or tablet. It’s reasonably easy to print from an iPhone or iPad. And I was printing from my Palm Treo 4 years ago. Window phones do NOT support printing. Sheesh, luddite, why do you still want to print? The main reason: HARD COPY OF RECEIPTS, due to laws of many countries. i am not sure why people have such a hard time understanding the “paperless” concept. people have had giant mounds of futuristic gadgets dumped in their laps in the past ten years, yet they still want to scrawl things out on flattened scraps of wood pulp. there is an ocean of possibilities to record, transfer, store, and alter data of all kinds, yet we insist on still having people hump it across town to give our tax documents to Mr. SAM. and if there is a law in your country restricting progress forward, it is our obligation as IT personnel, businessmen, and technologically motivated individuals to change it. we can create great things, if we can just get over our irrational fears of change, and go for it. It’s now May 2013, and there are only a few cellular phones that arrive out-of-the-box with the ability built-in to print directly using WiFi or Bluetooth or NFC to a WiFi or Bluetooth or NFC equipped printer. It’s ridiculous and bizarre, and frankly flatly stupid, that some people try to justify needing to send print jobs over the Internet to reach a printer that’s in the same room as the phone. Why not simply have the phone send the print job directly to the printer in the same room using their built-in wireless capabilities? How naive and negligent some of you are to assume you aren’t unnecessarily complicating a simple print job by sending it to travel through the Internet to be processed by who-knows-whose computer servers, who knows where. No wonder identity theft and credit card fraud are such huge and rapidly growing crimes. Why? What’s the point of wireless features ALREADY BUILT-IN on both our phones and our printers if those wireless technologies can’t even be used to have those 2 devices transmit a print job IN THE SAME ROOM. Oh, and those of you who have been watching too much Star Trek and have convinced yourselves that we can reliably work in a “paperless” world, wow are you in denial: what happens to your screen displays when the battery predictably runs out on your laptop computer or cellular phone? What do you do when the electric power companies experience the infrequent but predictable outages? What happens when the crucial data you stupidly only stored electronically gets electronically scrambled through electronic malfunction or malice? All the electronic back-ups in the world won’t do you a damned bit of use if the electronic data itself has become corrupted, or if there are no functioning machines within reach. Get real. Practical and responsible adults make and store printed versions of crucial documents. It’s reality. It’s common sense. If you still don’t understand that, print this out on paper and then tape it to your refrigerator door.